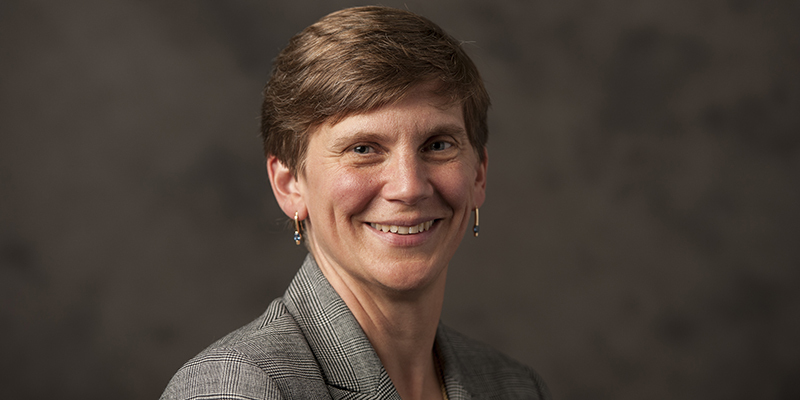 Linda Schadler, currently the vice provost and dean of undergraduate education and the Russell Sage Professor in Materials Science and Engineering at Rensselaer Polytechnic Institute (RPI), has been appointed as dean of the College of Engineering and Mathematical Sciences at the University of Vermont. As vice provost and dean of undergraduate education, Schadler created the Teaching and Learning Collaboratory and Beta Classroom, an experimental space for testing new classroom technologies, as well as a rotating faculty board that shares best practices and awards pedagogy seed grants. She worked with the Faculty Senate to develop a new core curriculum for Rensselaer and has been an integral part of Rensselaer’s new curriculum initiative, the Arch at Rensselaer. Prior to her current position, she was the associate dean of academic affairs in the School of Engineering and led several strategic initiatives. She had oversight for the Manufacturing Innovation Learning Laboratory (MILL) and the Multidisciplinary Design Laboratory (MDL). Several of the new programs she developed in the School of Engineering at RPI have been implemented Institute-wide, including a new approach to first- and second-year advising (Advising Hubs). Schadler’s research focuses on the nanodielectric, mechanical, and optical properties of polymer nanocomposites. Her work has impacted both fundamental understanding of polymer nanocomposite behavior and applications. She has also been an innovator in education including being one of the executive producers of the Molecularium (a planetarium show that takes a K-12 audience down into the world of atoms and molecules). Schadler has received more than $13 million in research funding as principal investigator or co-principal investigator and also has been an active participant in two large centers: the Nanoscale Science and Engineering Center (NSEC) for the Directed Assembly of Nanostructures, and an Engineering Research Center (ERC): Smart Lighting, both funded by the National Science Foundation. She was the Director of Education and Outreach for the NSEC and implemented a summer research program with specific partnerships with historically black colleges and universities and women’s colleges to provide a year-round research experience for those students. She co-authored more than 160 refereed journal publications, 10 book chapters, she holds 12 patents, and has been invited to speak about her research around the world. She has supervised 33 Ph.D. students, 13 M.S. students and more than 50 undergraduate students in her laboratory. Schadler graduated from Cornell University in 1985 with a B.S. in Materials Science and Engineering and received a Ph.D. in Materials Science and Engineering in 1990 from the University of Pennsylvania. She is an associate editor for the Journal of Materials Research, as well as a Fellow of both the Materials Research Society and ASM International. Schadler is a former member of ASM International’s Board of Trustees and the National Materials Advisory Board.